The Enneagram Spectrum Certification is a practical program meant for trainers, coaches and consultants. This 36-hour Coach & Training certification program is designed for individuals wishing to use the Enneagram in workshops, small groups, or one-to-one interactions in business, educational, consulting, therapeutic and spiritual development settings. 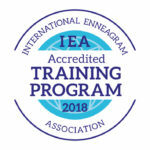 The certification program is an International Enneagram Association (IEA) accredited training program, which is conducted by IEA accredited professionals. Since the Enneagram touches on many levels of reality, it can be applied at varying levels of intensity and depth. It is a valuable tool for personal and interpersonal growth as well as for leadership, management, and team building development. Individuals wishing to enhance their own personal and interpersonal understanding and development can profit from this training. The historical roots of the Enneagram. The theoretical framework on which the Enneagram is based. The key features of the nine Enneagram styles. The resourceful and less-resourceful cognitive, emotional, and behavioral schemas of each style. The paradigm shifts in response to inner and outer stressors. The influence of contiguous styles and subtype variations. Different traditions and approaches to the Enneagram and resources available: books, audio and video tapes, test instruments, newsletters, organizations, etc. Methods of presenting the Enneagram. Didactic input from an internationally known Enneagram teacher. Experiential exercises to foster a practical understanding of the Enneagram’s theory and dynamics. Audio and video tape material. Panel interviews and discussions to hear the various styles in vivo. Written handout materials and resources. Anyone interested in personal development and insight into their own personality style and the styles of people in their life. 136 page introductory text containing 30 reflection questions and a structure for understanding and presenting the Enneagram system. Participants will learn how to administer and interpret this questionnaire (available online and in hard-copy format), the only Enneagram inventory published by a major psychological test company with sufficient research to be reviewed in Buros’s Mental Measurements Yearbook. Contains powerpoints, handouts, and workshop formats. I attended Gran’s Enneagram course last year, and I found myself, more importantly, I finally started to UNDERSTAND myself. Initially, I was skeptical about doing a personality typing course because I find most typing out there to be rather superficial as I often see myself fitting into two or more categories. After completing the 200+ enneagram questions, receiving and reading my enneargram typing analysis, I was amazed at how accurate it describes the REAL me, and not the me that I have made, or allow others to make myself up to be. I could find my CORE personality and none of the other 8 types describe me as best (although I show some characteristics of them in different contexts). After attending the course, I have a better grasp of the philosophy and concept behind the enneagram system. I not only understand why I tend to behave a certain way, but also the behaviors of other people around me. As a result, adjustments were made and relationships have improved; and where usually there were a lot of frustration, things have become more bearable with better understanding and appreciation of the different personally types. The enneagram typing has also given me the affirmation to move on to a new career path. I have been recommending the enneagram to colleagues, relatives and friends and I am looking forward to learning more about the enneagram. “Marion, thank you for the results of the Enneagram test. I found it useful and informative and it made me think about my personality and how I interact with others, especially my family. It really did bring home some truths about my way of making others dependent on me as a key part of my core style and how I overlook my own needs. This is something I can now work on improving. I was a bit sceptical at first about it, but reading the report has made me realise it does make sense, particularly the fact that we have some of the other styles in our personality, which reveal when we are stressed or relaxed. It was in fact far more accurate than I expected and it is certainly helpful in my pursuit of self improvement.